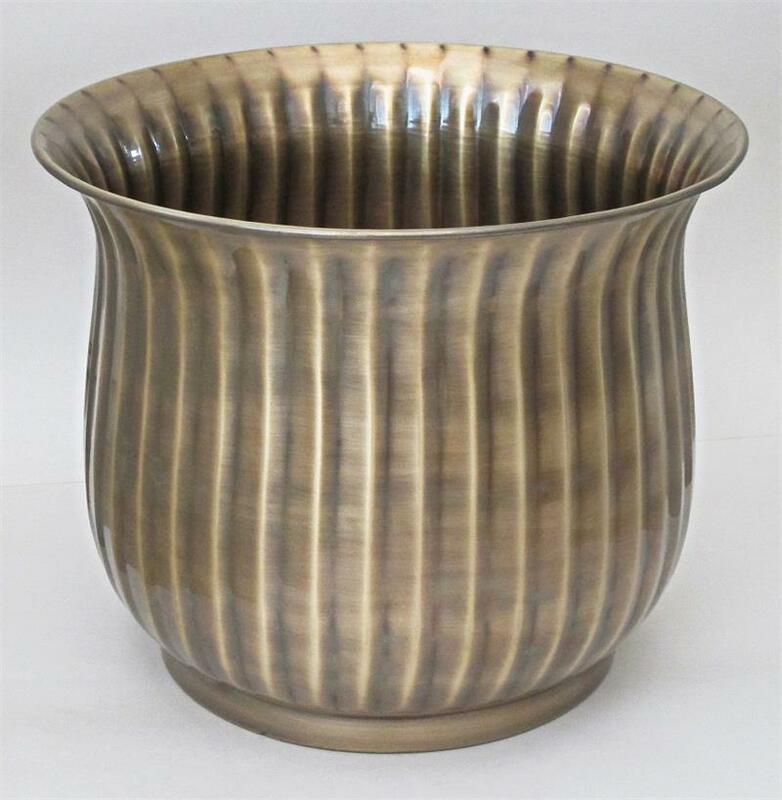 Solid brass planter fluted style 13.75"D x 11"H. Antique finish is lacquered to resist tarnishing. Dimensions, weight, and finish can vary slightly hand-made item. Fluted-style solid brass planter with antique finish, lacquered to resist tarnishing. Beautiful one-piece seamless construction with hand detailing for a rich and classic appearance. This heavy gauge brass planter is suitable for residential or many commercial applications. Diameter 13.75" (measured across top opening), Inside Diameter 11" Overall Height 11." Note: Dimensions, weight, and finish may vary slightly as each piece is hand made.